The easiest way to achieve this is to use your feet. You can get almost as close as you want to a subject just by walking up to it. It's so easy (and important to good photos) that my very first tip on my free tips course is Move Closer. 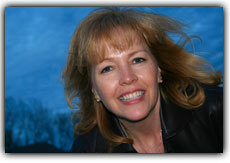 Filling the frame entirely with your subject makes a terrific difference to your photos. Of course, that assumes you can actually walk up to the subject in question. Sometimes you have other objects in your way, or your subject is high above you. This is where having a zoom lens in the telephoto range comes in handy. 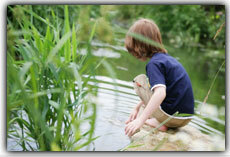 A zoom lens is any kind of lens that magnifies a part of the image so it appears as the full image. 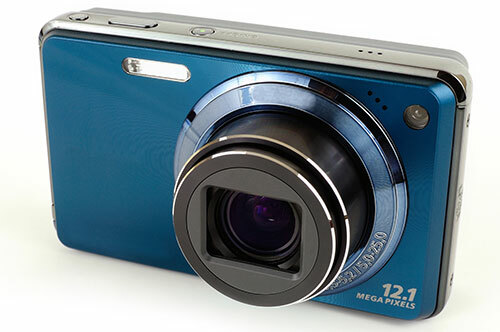 Most point and shoot cameras allow you to zoom in and out with a few buttons located on the camera’s main control panel. Digital SLRs have lenses mounted on the front, and the zoom can be adjusted by simply twisting the lens to the right or left. The way the lens magnifies is by changing what is called the 'focal point' of the lens. The further the focal point is away from the image sensor inside the camera, the more magnified the image will be. 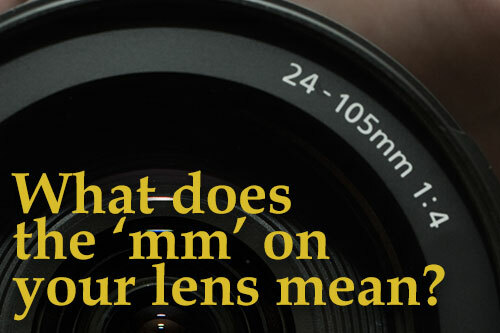 You may have noticed that zoom lenses have two 'mm' numbers written on them. For instance, 50mm to 200mm. These are the focal points the lens is able to produce. 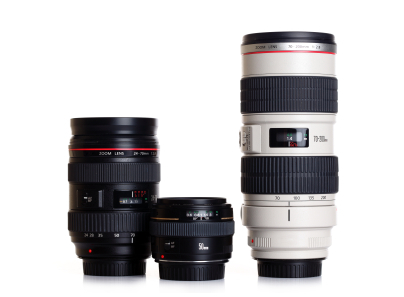 Lenses with a focal range above 100mm are classed as telephoto. These allow you to zoom in on the action. The higher the number, the further in your camera can zoom. 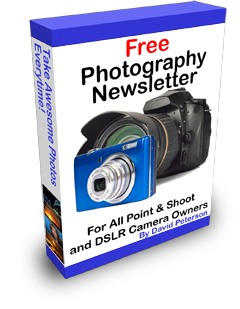 Many beginner digital SLR kits offer a 50mm to 200mm telephoto zoom lens. 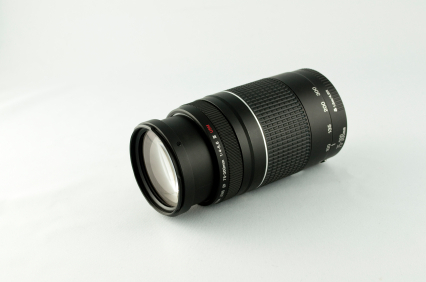 Whenever you zoom in completely with this lens, you are zooming all the way to 200mm. When you zoom out, you are going back to the normal 50mm focal length. In photography, 50mm is considered the “normal” focal length. That’s because whenever you look through a 50mm lens, it doesn’t appear as if there is any magnification or other distortion. It is exactly like looking through your own eyes, and that is why 50mm is the standard lens focal length. If you were to multiply that number by four, you would get 200mm. In other words, a 200mm lens magnifies everything in the scene by a factor of four. The higher the mm number, the more you will be able to zoom in. Point and Shoot cameras have a 'digital zoom' that performs a similar function to the telephoto lens in that it magnifies the image. However, digital zoom is not really ‘zoom’ in the strictest definition of the term. Digital zoom just enlarges the image. It takes a portion of the image and enlarges it back to full size. You lose quality because of the enlargement process so photos that have been taken with digital zoom won’t look as good as those without. 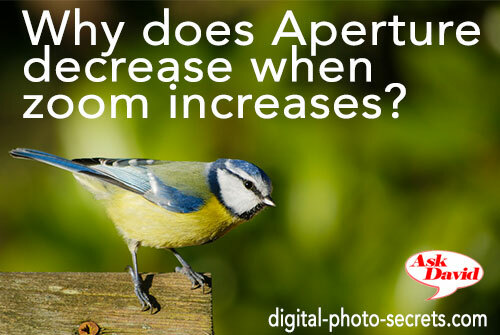 See my tip on Optical vs Digital Zoom for more details on why I recommend you DO NOT use a digital zoom. There are other zoom lenses to cover focal lengths under 50mm. These are considered “wide angle zooms.” Imagine looking at something with your own eyes and being able to zoom out further without walking backwards. It’s a pretty strange thought, isn’t it? Wide-angle zoom lenses do just that! At any focal length under 50mm, the lens starts to take extra light in from the sides, bringing more of the surroundings into the frame. Hence the wide-angle name. The number one reason you will want to use a telephoto zoom lens is to get close to a subject when you either can’t or shouldn’t. Wildlife photographers love their telephoto zooms because they allow them to take pictures of animals without disturbing them. This makes it easier to get more authentic and natural images. Speaking of animals, people tend to act quite differently when they know they are being photographed. With a telephoto zoom lens, you can capture candid moments while your friends or children are none the wiser. I’m not talking about doing anything crazy like hiding behind the bushes. Just casually sit back at a social gathering and snap away. As long as you don’t have to use a flash, most people won’t know they are being photographed. Getting closer to your subject with a zoom telephoto lens will both isolate your subject and draw attention to it. Many second rate photographs aren’t visually interesting because the photographer hasn’t taken the time to isolate the subject and make it pop. When you zoom in on the important details, your subjects will always steal the show. Normal lenses don’t always give you this luxury, which is another reason why telephoto zoom lenses are crucial. I teach you this technique in my Depth of Field Secrets course. Oftentimes, there is something beautiful and interesting on the horizon that you want to photograph. Of course you can’t actually walk up to it to take the photograph, so your best bet is to have a good telephoto zoom. This will allow you to isolate that mountain in the background or amazing sunset, keeping only the most important details. There are a few precautions to be taken whenever you use a telephoto or telephoto zoom lens. At very high focal lengths, like 200mm, your pictures become more and more susceptible to camera shake. Some telephoto lenses have a vibration reduction mechanism that helps, but it doesn’t do the entire job. If you suspect your photo won’t turn out right because of camera shake, simply bring a tripod with your whenever you take pictures with your telephoto lens. Telephoto lenses are known to distort images. This is known as the “telephoto effect,” and it amounts to a kind of flattening. Everything, when seen from far away, appears kind of flat. If you have ever been out hiking on a mountain, you know how this can become very deceptive. At first, you think your goal isn’t too far away. But as you get closer, you realize just how much mountain is in front of you. We human beings are basically unable to know the depth of an object until we get up close to it. When you use a telephoto lens, you aren’t actually getting close to your subject. You’re just magnifying the horizon. 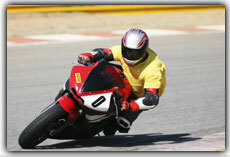 Some photographers use the telephoto effect for creative purposes. Cityscapes, when taken with a telephoto lens, have an added element of spookiness and conformity. There are plenty of ways to use this flattening effect for your new idea. A telephoto zoom lens is a great tool for capturing candid moments when you can’t get physically close to your subject. It lets you bridge gaps and isolate subjects while standing still. As long as you take the right precautions and use a tripod when necessary, you’ll have some visually interesting shots. Take some time and send a few my way. I can’t wait to see them. When photographers speak of telephoto lenses they are typically talking about optics with a longer focal length of 2m+. I went through the article, Comments and replies and I found so educative... I'm new to camera and photography with my Nikon d5500 and I have two lenses 18mm-55mm and 55mm-200mm. I would like to know few tips for beginners so i can get quality and beautiful photos. Thanks so much for your kind words. Most of my articles are for beginners, so my recommendation is to click on the "Tips and Tutorials" menu then "Types of Photography" and choose a style that interests you. Follow the advice in the articles there. You've given some solid advice to others and I'm hoping you can do the same for me. I have a Canon 70D that came with a kit 18-135mm lens. I'm going on safari in Nov and want a better lens with better zoom. I like taking wildlife and nature shots, future safaris are planned. Somebody advised me to get a Sigma 18-300mm with macro, saying its a great, versatile amateur lens. Is that true? I worry about what quality I might lose with that range, worry that I'll wish I'd bought something up to 400mm but don't want to deal with camera shake and tripods - I rarely sit still - or carry myself to death on lenses. What would you suggest? I think your friend is right - the 18-300 is a good lens for wildlife photography. And you are correct, you don't want the hassle of a tripod on a safari. At 300mm full zoom you're going to need a fast shutter speed (1/300 sec or faster) to make sure the camera's movement doesn't blur the image. A 400mm lens, you'll need an even faster shutter. The only suggestion I have is to look at the dedicated zoom lenses like the 70-300. It'll be cheaper than the 18-300, and usually less bully. Take your existing 18-135 as well to cover when you want to take wide angle shots like landscapes. Hi, David! Great article! I found this to be very informative! I have a NikonD3300 and I am wanting to get a quality lens. I am looking for super clear photos. I am really trying to master getting a clear crisp subject or focal point, while the background is out of focus. Do you have any lens suggestions? Ps I am very new to photography, so I hope the above makes sense. 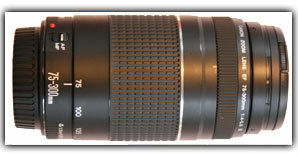 Planning to purchase zoom lens..
Should I buy 55-200mm or 70-300mm lens? What am I compromising by buying 55-200mm lens? I will not be buying macro lens considering the budget and want to use the zoom lens instead.. Which one is preferred for macro photography? Usually lenses that are similar in zoom (like your 55-200, 70-300) have different features to further differentiate them, like faster focus, or vibration reduction. I'd look to see which of these extra features suit you the best and choose that lens. I am using the Canon 70D and am looking for a wide angle lens. I was wondering which between the three would you recommend to be the best lens for wide angle, or would you have any other recommendations please? 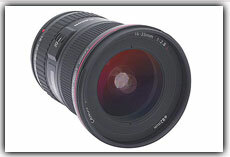 Canon don't make an 14-24mm. I assume you meant the 11-24? 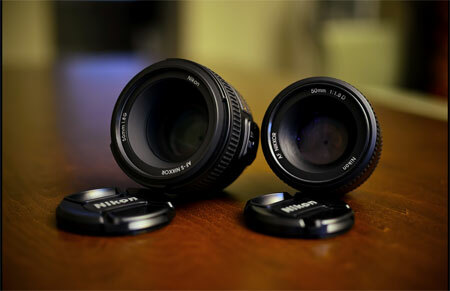 Both those brands make excellent lenses, and the mm range is close between them. However, they usually have slight differences like a faster zoom, or movement reduction. Choose the lens that has the features that best suits the type of photography you want to do with the lens. For example, landscapes usually don't need a faster zoom or movement reduction. However, if you need a wide angle for group shots, then those two features are a requirement. Thanks for the instructions. You have been very helpful. I'm looking to purchase a Sony rx10 m2 or Sony rx10 m3 with the main difference being the lens. The m2 has a 24-200mm f2.8 while the m3 has a 24-600mm f2.4-f4. The m3 is a few hundred dollars more and I'm not such if I'm going to need the extra reach. These cameras are fixed lens designed so upgrading later isn't an option. As an amateur photo / videographer I'm still exploring different fields and would like to shoot a variety of things. Budget is a concern and 400 or 500 dollars could get a lot of other equipment (lights, sliders). I'll probably use this camera for a few years but I'm tore between the two models. Thank you! If you're not sure if you'll need that zoom, then I might suggest purchasing a bridge or DSLR camera that has a removable lens rather than the rx10. That way, if you realize later on you need a longer lens, you can purchase that without needing to change your camera's body. And similarly, you can upgrade your camera's body without needing to also purchase new lenses. Go with one of the main camera makers like Nikon or Canon so you know your lens will work with a large range of cameras. However, having said that, I haven't used the rx10, but I've heard a lot of good things about them. If you are tight on funds for now, and don't think you'll need the extra zoom then go for the m2 and save to purchase a new camera with a removable lens at a later point. What is the different between telephoto lens n other zoom lens?? Which one is perfect for photography? 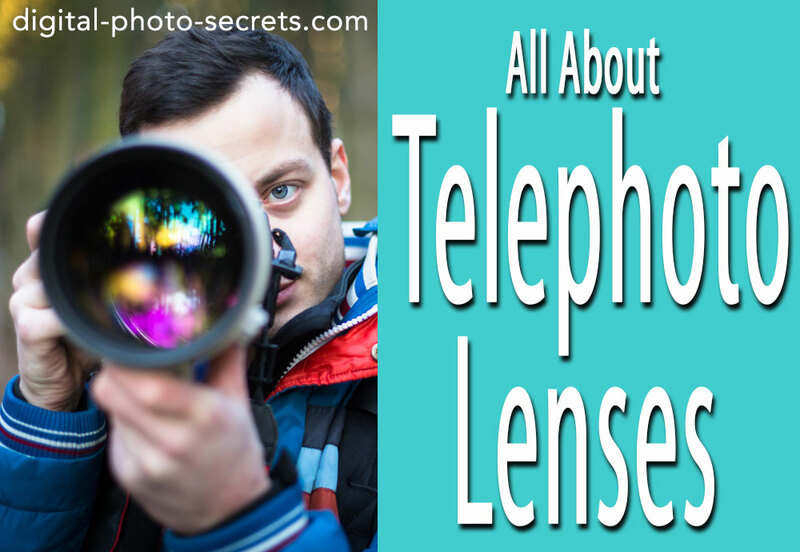 Telephoto lenses are a subset of Zoom lenses. Telephotos generally allow you to only zoom to far away subjects, whereas zoom lenses will allow you to zoom out to wide angles as well.